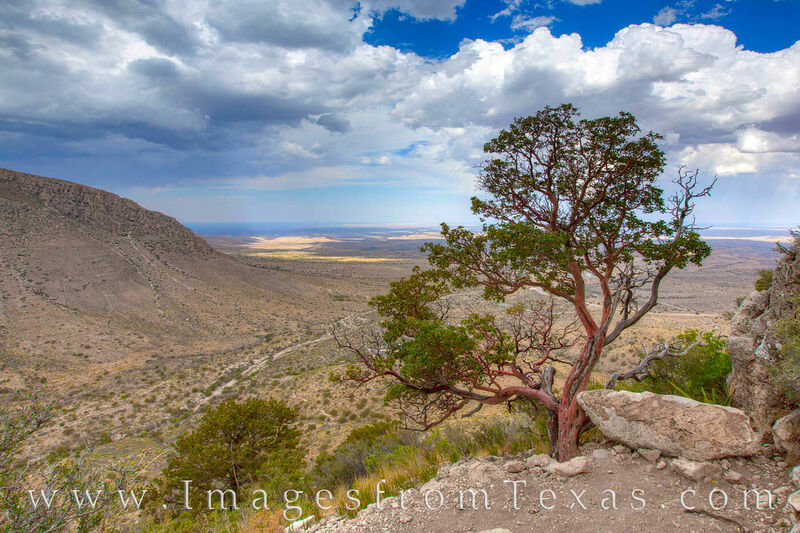 The Texas Madrone tree is common in Guadalupe Mountains National Park. On the hike up to Guadalupe Peak and El Capitan, you might notice the red bark of this tree as it clings to the edge of a switchback. In the distance is the Chihuahuan Desert. Photo © copyright by Rob Greebon.